There’s a 3-5 day music fest like Bonnaroo or Coachella coming up and you just can’t swing the cash because your grind is barely helping you pay the rent. If you’re a fan of the electronic music festival “The Untold” that takes place in Romania at the end of July you’re totally in luck. 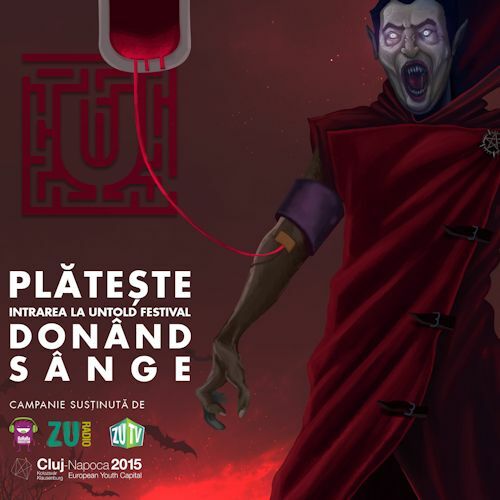 Romanian blood donations and supply are at a low point so promoters, in an area known for the famous blood-sucking icon, Dracula, came up with a winning solution for everyone. By donating blood (particularly rare blood types) and participating locations, blood-givers could get 30% off their tickets or even free tickets to the 4-day music fest. And Wesley Snipes comes rolling in to put a stop to it all. You are currently browsing the archives for the Dracula category.